Ok, so its february and its definitely my best month ever. You are probably thinking well, yeah it just means its another valentine,no big deal! But hey, its more than just that for me, my birthday is just a few days apart from valentine so its always a perfect opportunity to tell my DH to splurge on a few luxury items. Its almost always like ''ask and you will recieve'' and trust me I have learnt to ask wisely rather than on impulse. yeah,I grow wiser each year. I always digress don't I? I was going to share my Valentine wish list with you but here I am talking about my birthday, ok that can wait. Lets talk romantic sweet nothings now. Alright, I know a lot of us would love to share valentine's day with a loved one, you know, that special person or anyone you hold close to heart but sometimes, its just something that never comes around to happening. Its however not an excuse to give your self a bit of pampering. I mean sharing Valentine with anyone at all is not a set in stone rule but I think its definitely an opportunity to show yourself some love. I mean you can never love yourself too much , or that's what I think anyway. You can only love others as much by loving yourself first! Now that's something to set in stone and keep as your personal mantra. OK,so I have no clue what I have been saying so far but you probably know by now I have simply been trying to build some kind of platform on which to introduce you to my Valentine wishlist. I don't think its working but if you have read up until this point then you probably should just have a look at what I intend to splurge on! For me this little number ticks all the right boxes for me and I am head over heels in love with this Coast dress. I love that it comes in what I call my most sophisticated colour, black. The well structured waist line, intricate lace details on sheer fabric and fine pleats makes it just so feminine and gorgeous to look at. Plus it comes in a decent length as well which means I can flaunt my pins as much as I want.I definitely intend going to bed tonight dreaming about myself in this piece! When it comes to shoes, I am always weak at heart . I just can never say NO! After much thinking and swapping and trying out a few pairs of shoes in my head I finally settled for this pair.For me,the beauty of these shoes lies in its simplicity. Now these are the kind of shoes that sets you in the mood to waltz to some romantic music. I mean, how can you possibly wear a pair of these and stay seated?! 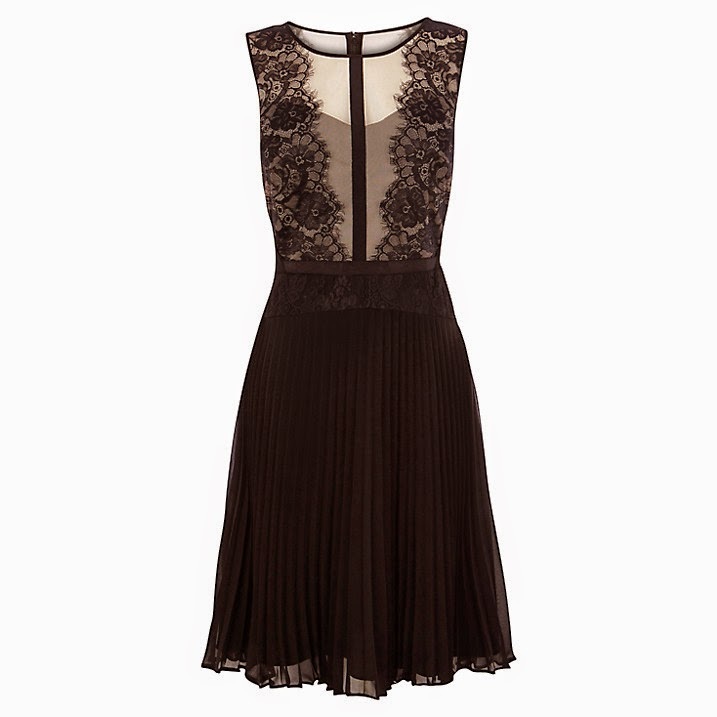 Its lovely and I definitely think it would go well with that lovely dress up there. I would describe my personal style as simple but very chic and sophisticated. I am not someone who loves to draw attention to myself but I like to add a bit of wow factor to my outfits if you know what I mean. I quite like the type of compliments I get at functions when people are like ''Oh! I really love how you look effortless chic''. It kind of gives me a confirmation that I am seen in the exact way I want to be seen, confident,mature and well put together. 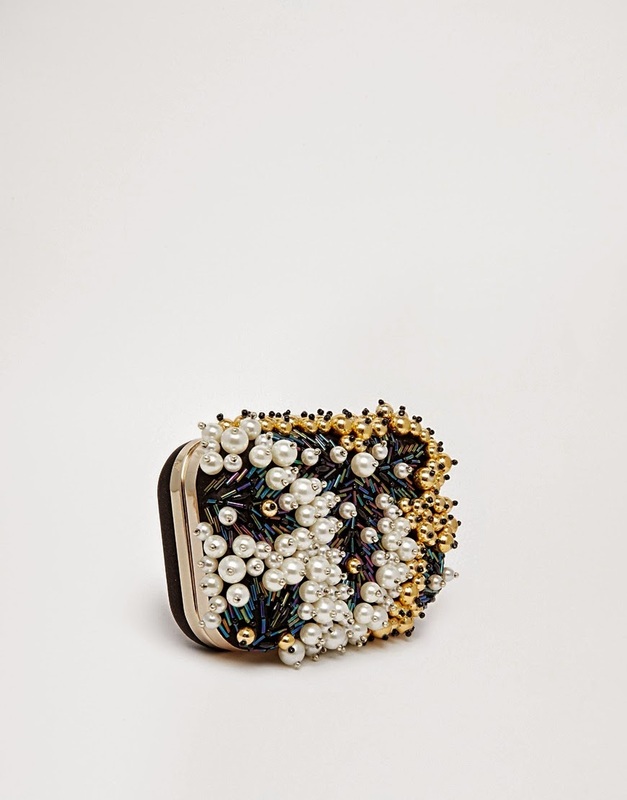 Speaking of wow factor, this gorgeous clutch bag completes my wish list look. I could hardly resist having a second glance when I came across it. 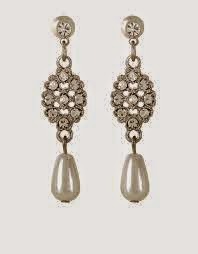 Its heavily beaded with a combination of faux pearls and beads. It is sure to Jazz up any outfit. I think this little piece of jewelry helps balance the look. Its very delicate and bespoke. I think it is just the right size of accessory to compliment the dress and would sit well with the dress and clutch. Its almost like they were made to compliment each other. I really cannot say much of this lovely piece of earring because I am simply wowed by the price and the beauty of it. #musthaves. My valentine wish list would never be complete without my signature scent. People close to me know I absolutely love perfumes and fragrances and yes, I have tried an unbelievably lot of them too. However, Gold Couture has grown on me and I absolutely do not see any other perfume taking its place anytime soon. Its made it to my valentine wish list because this is something I keep wanting more of and its being a case of replacing bottle after bottle of this lovely fragrance. This is my go to perfume morning,afternoon and night! I L-O-V-E it. Where to buy: Check with your local perfume stockists as price may vary. That's me done with my Valentine Wish list.Let me know what you think and feel free to share yours as well. Nice Post. I was looking got a bit of inspiration around what to wear for a dinner date next weekend as everything seems so recycled these days. Thanks and I really hope I don't go over board!